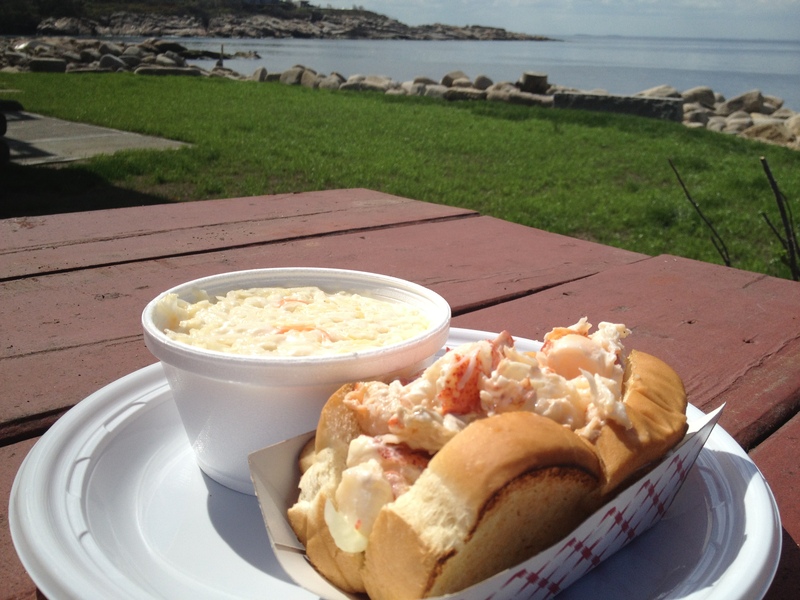 After a brisk 5-mile hike through the dunes at Crane Beach, we were fully prepped for the short drive north to visit The Clam Box to give their lobster rolls a try. 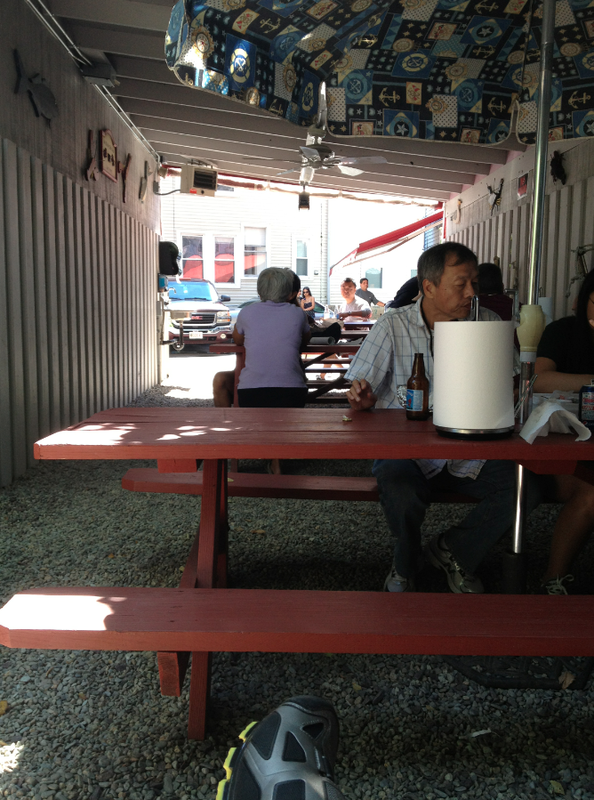 We’ve been here before, pre-Chronicle days, and have driven by its distinctive “clam box architecture” countless times. 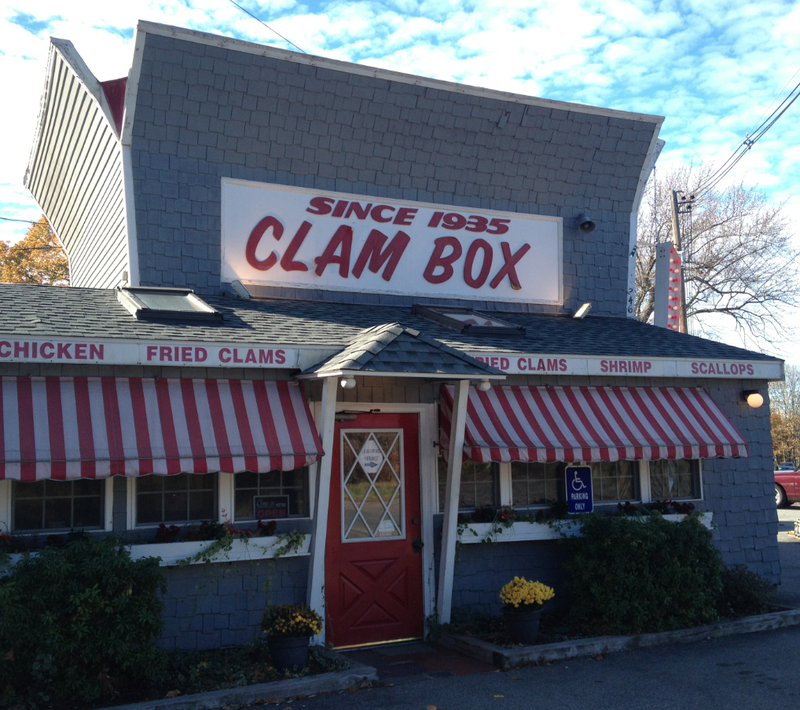 As you might imagine, The Box is famous for their fried clams, and many locals claim their clams are the best around (which they aren’t). 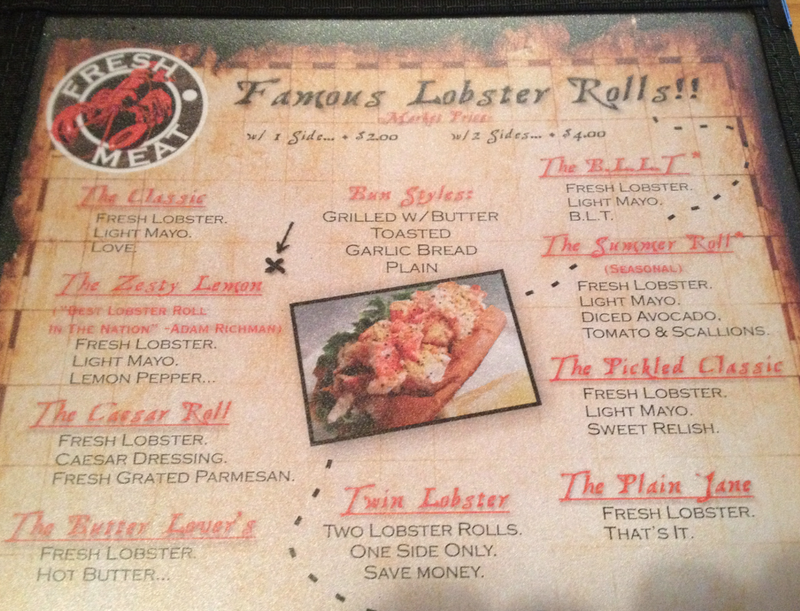 But we were surprised to hear so many roll hounds claim The Box was their favorite lobster roll joint. As is nearly always the case there was a pretty long line at The Box, and we waited while the friendly counter girl took orders from those ahead of us in line at what seemed a glacial rate of speed. You know, this can be pretty aggravating at times, but in this case our smiling order taker was simply taking very special care to get everyone’s order exactly right, so we really couldn’t complain. After finally placing our order, we sat on a long wooden bench near the pick-up windows waiting for our number to be called. This position gave us a birds-eye view of the massive fried clam, scallop, and fish platters being distributed by several more smiling and courteous youthful staffers. After about 10-minutes, we picked up our tray and headed out to the picnic area to enjoy the tail end of a warm, sunny Fall day. 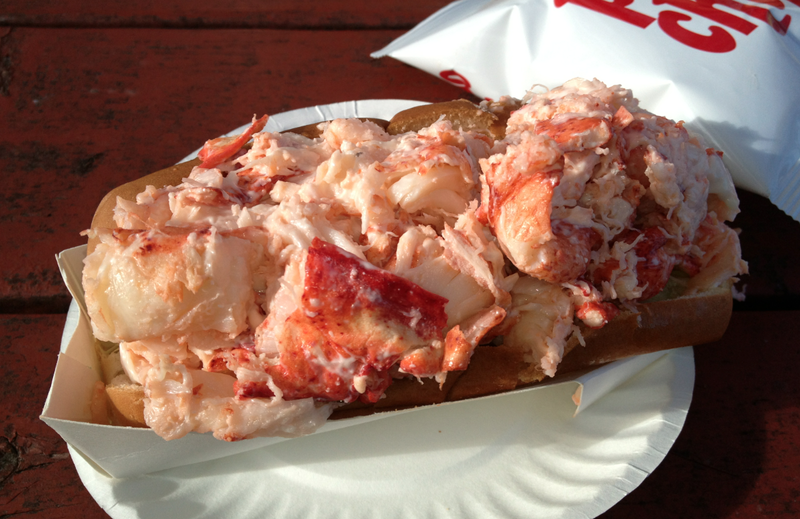 As for how we graded The Clam Box’s lobster roll, we should begin by saying this roll really wasn’t bad. They weren’t huge, but they were stuffed pretty full with claw, knuckle and tail meat, all very lightly dressed with a touch of mayo. There was nothing at all offensive these rolls, and we didn’t feel ripped off. Conversely, these rolls were remarkably unremarkable – that is, there was absolutely nothing outstanding or memorable about them. The roll itself was a standard New England-style split-top hotdog bun that was prettily grilled, but it lacked that “butter-grilled” flavor that adds such a nice bottom to the best roll experiences. We wondered if perhaps The Box simply under-buttered our rolls, or maybe they were using unsalted butter (or, God forbid, some tasteless butter substitute?). Regardless, it lacked bottom, leaving us longing for a Top-10 roll (which this roll certainly isn’t). 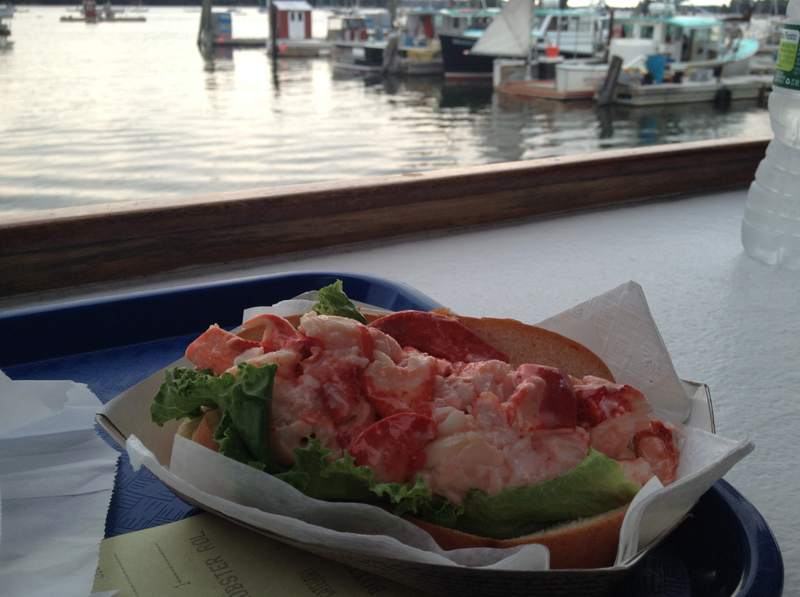 Between the roll and the lobster meat was a bed of cut iceberg lettuce. The lobster meat itself was, again, not offensive, but it wasn’t singing of freshness either. We tried to pin down what we were getting, and our conclusion was that this meat tasted like it had been made yesterday and then refrigerated overnight for today’s use. We have no idea if this is what happened, we’re just saying that’s the impression we got. The meat wasn’t overcooked or rubbery, but it wasn’t sweet and succulent, either. If we were to stretch to find something positive to say, it would be that the size and and variety of meaty chunks used in this roll were definitely good. 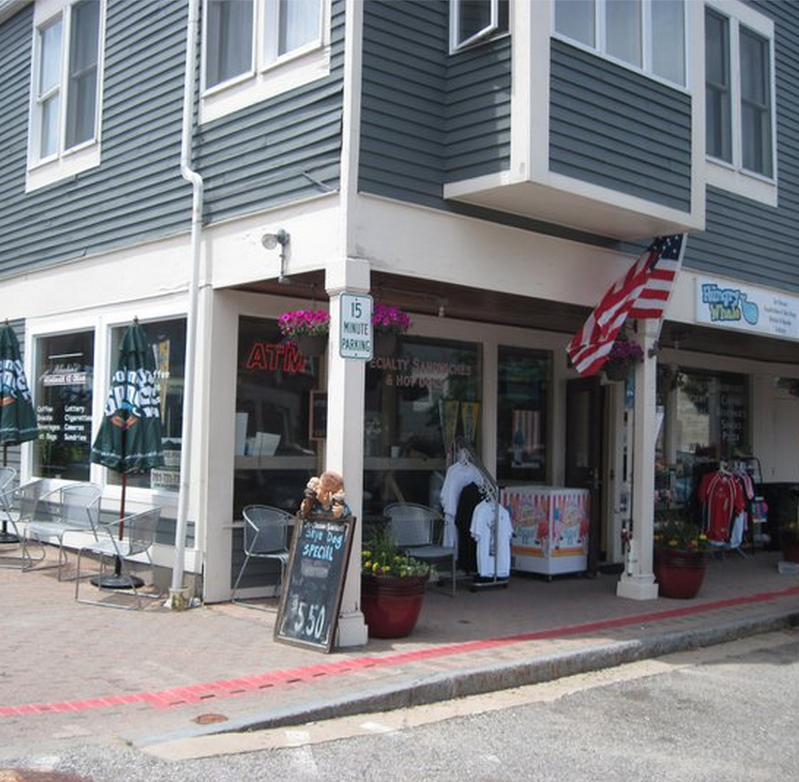 The Clam Box is located at 248 High Street in Ipswich MA. WEBSITE: http://www.ipswichma.com/clambox. PHONE: 978.356.9707. 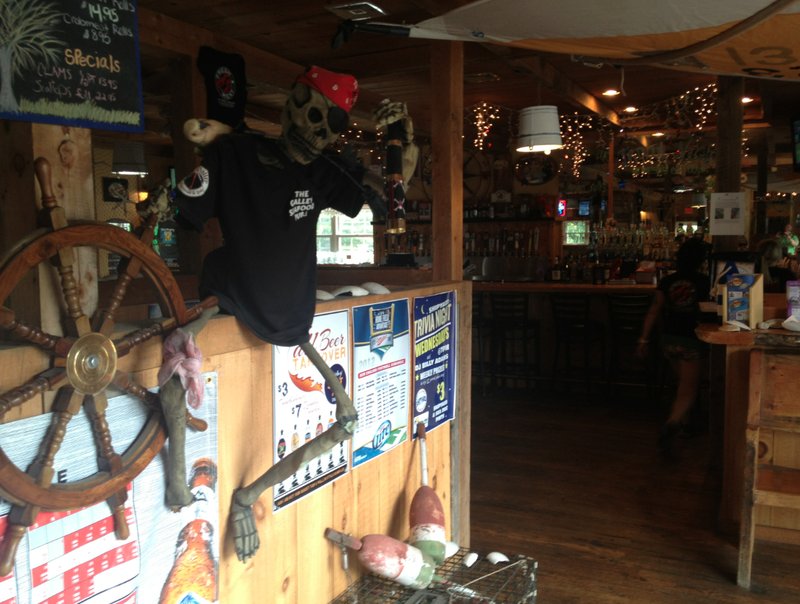 The Clam Box is a seasonal business. 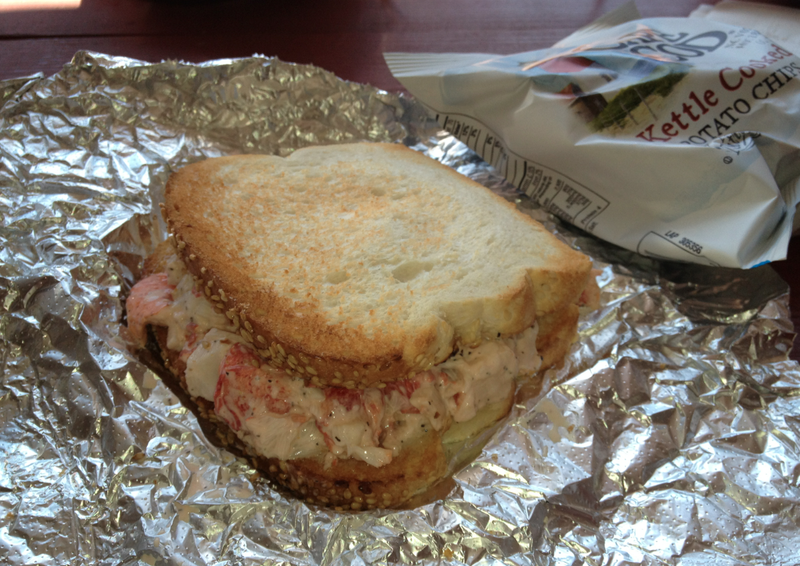 Not a bad lobster roll, but mostly unmemorable. Anyone who grew up in or around Boston will recognize the name of James Hook & Co. An institution since 1925, James Hook was situated at the entrance to the Fort Point Channel. Their sign with the angular white lettering against their brown building was a landmark. 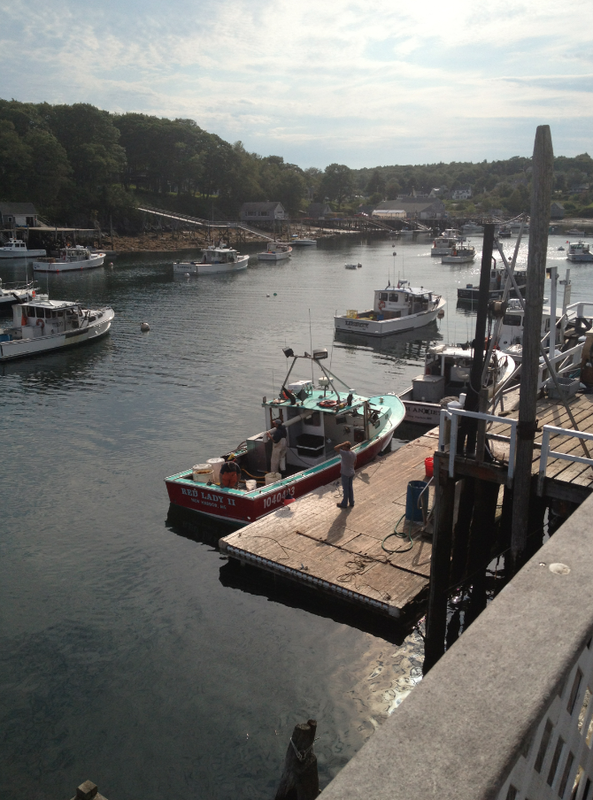 That is, until 2008 when a fire consumed its main building, along with 60,000 lbs of lobster. Over $5 million in damages to the property didn’t stop the Hook family from rebuilding. And although the landmark facility is now gone, Hook remains in business to this day. 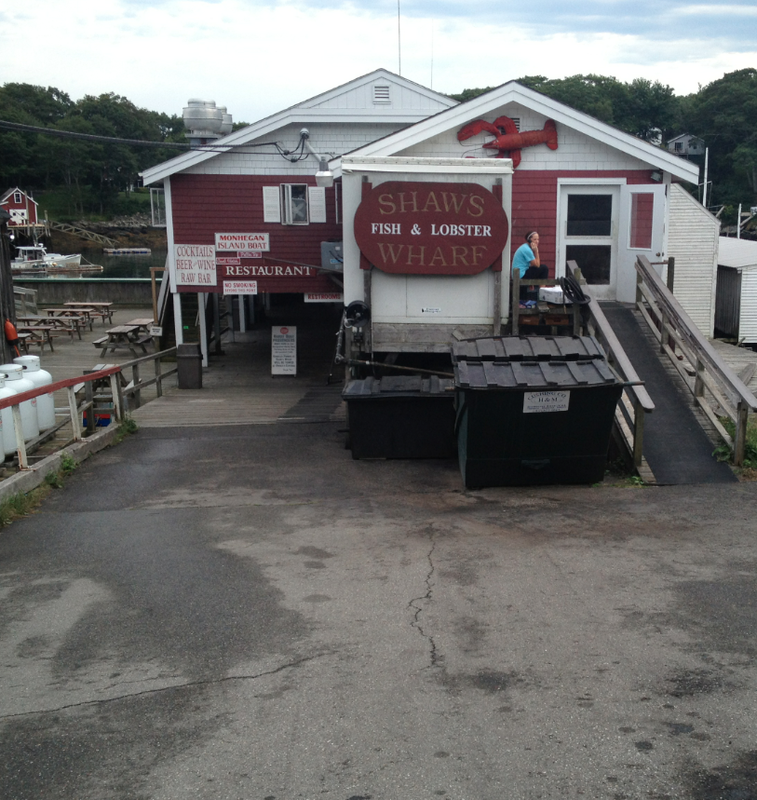 We were on our bikes and decided to swing by Hook to split a lobster roll. 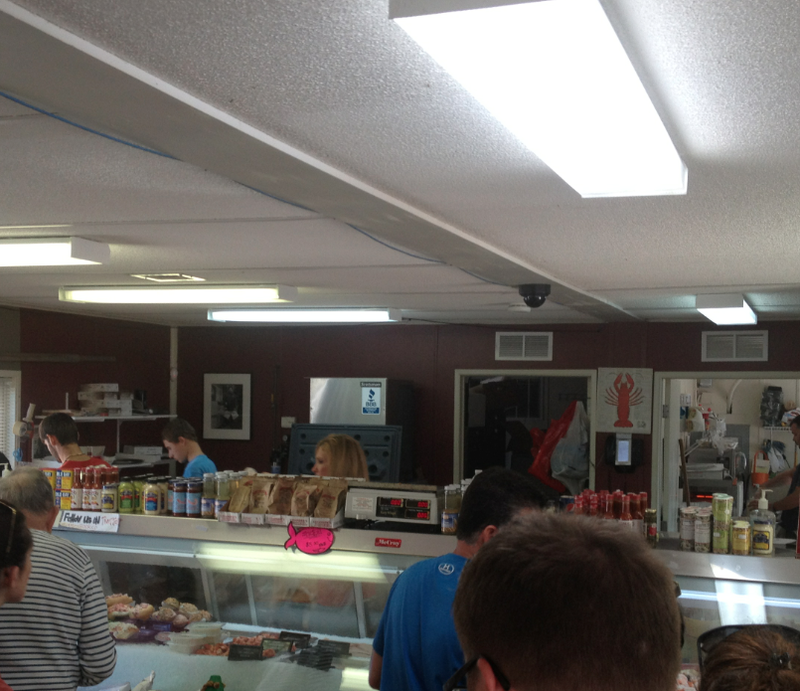 The place was crowded, so we stood in line for awhile. 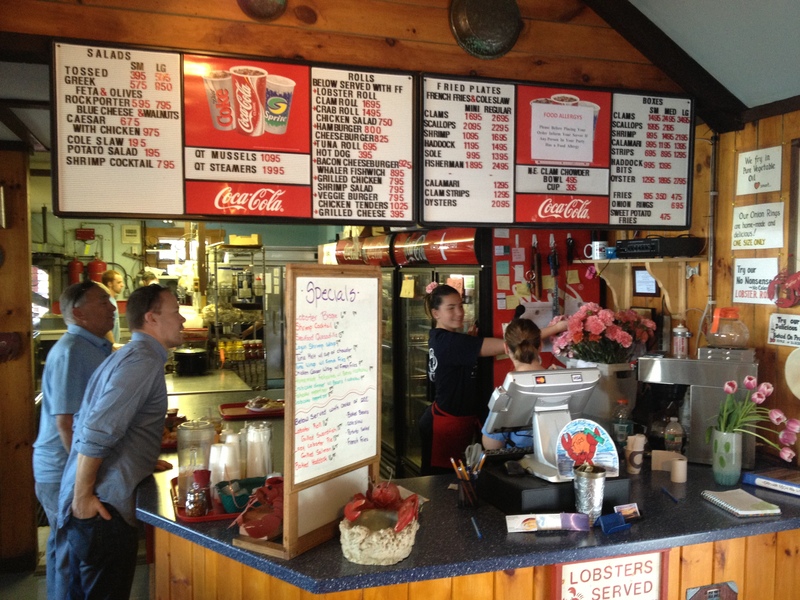 When our turn came, we noticed that there were completed lobster rolls in the display case, a la Roy Moore’s. Luckily, the clerk asked if we would like our roll toasted, which we did, so our roll ended up being made to order. We took our lunch out to the old drawbridge leading to South Boston to enjoy our roll in the sunshine. This roll was very good. 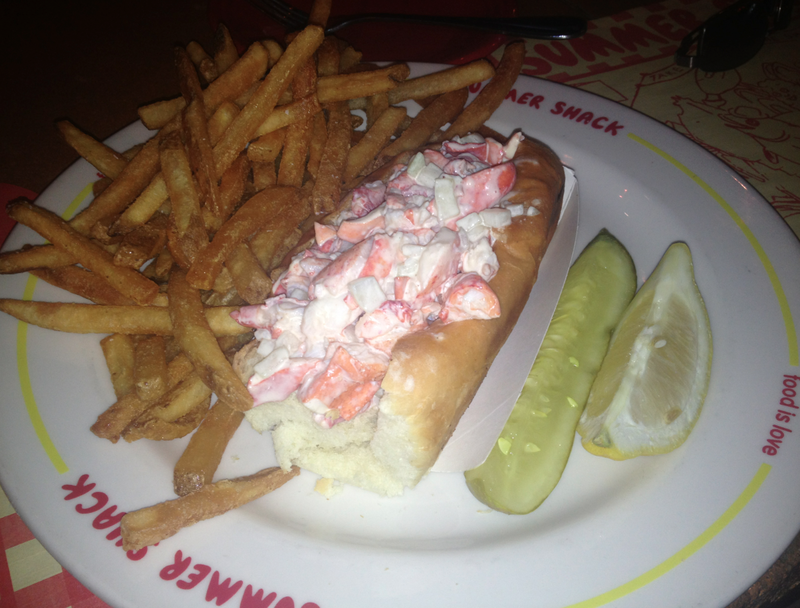 Buttery, toasted split-top hotdog bun filled with delicious, fresh and flaky lobster meat. This roll had a bit more mayo than necessary, but not so much that it detracted from the tender lobster meat. We were surprised to hear people mention light celery in their reviews, because as far as we could tell there was no celery in ours. In many ways, this roll was very traditional, and reminiscent of Shaw’s or Harraseeket, but was even simpler in that there was no lettuce lining the roll, winning additional style points for Hook. And at about $12.99, you’ll have a very difficult time finding a better value in all of Boston. 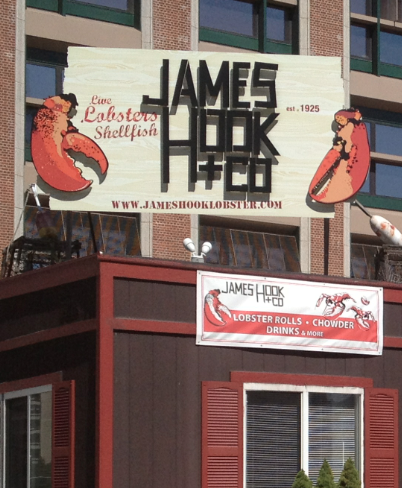 James Hook & Co. is located at 15-17 Northern Avenue in Boston, MA. WEBSITE: http://jameshooklobster.com. PHONE: 617.423.5501. James Hook & Co.’s lobster roll is delightful in its simplicity. We had no camera with us on this visit, so we borrowed this snap from Jo Boston. We’ll be happy to remove the image upon request. 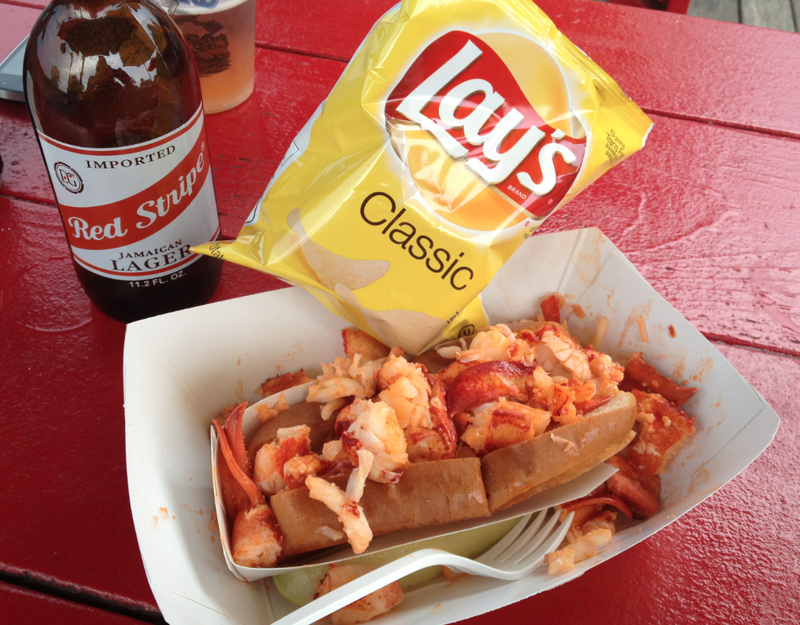 We broke two rules by including Jasper White’s Summer Shack in the Lobster Roll Chronicles. 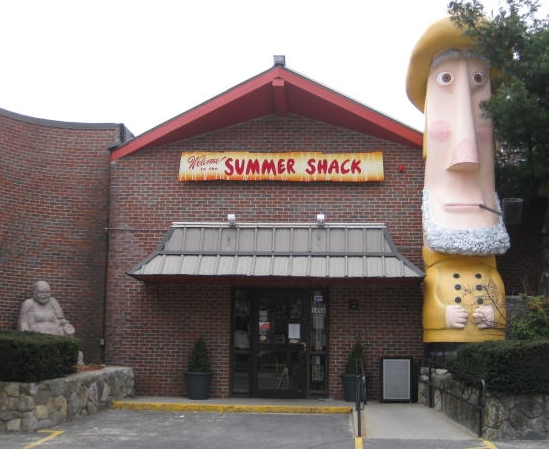 First, Summer Shack is technically a chain, which we tried to avoid for this project. Second, we included a roll that we considered non-traditional. This roll had crunchy things (cucumber?) and herbs (tarragon?). Our excuse: We were on our bikes, we were hungry, and we thought, “What the heck… it’s Jasper White.” We actually came close to not including it in our rankings, but hey… we paid for it, we ate it, and we rated it. So here you go. 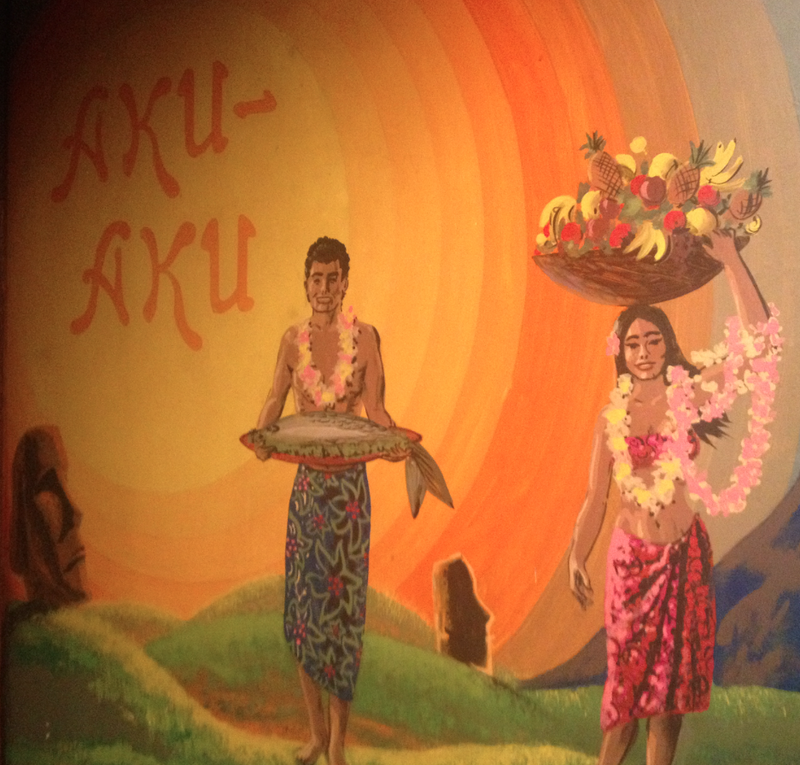 Summer Shack resides in the old Aku Aku, and we found a preserved Polynesian mural featuring a combo platter of Easter Island and Hawaiian images, instantly endearing us to the place (perhaps our next “Chronical” will be tiki lounges!). But it also feels a bit like the gymnasacafatorium you remember from grammar school, with hard walls, high ceilings, and an airplane hanger-like feel to it. Summer Shack really is not a very warm place. We sat at the bar and placed our order. What we got was lobster rolls that were okay. They weren’t terrible or offensive in any way. But they weren’t great, either. A toasted roll layered with a bit of greenery, a very wet, over-mayo’d role with cukes or some other crunchy things was fine. Really. It just wasn’t anywhere near the level of roll we’d come to expect. 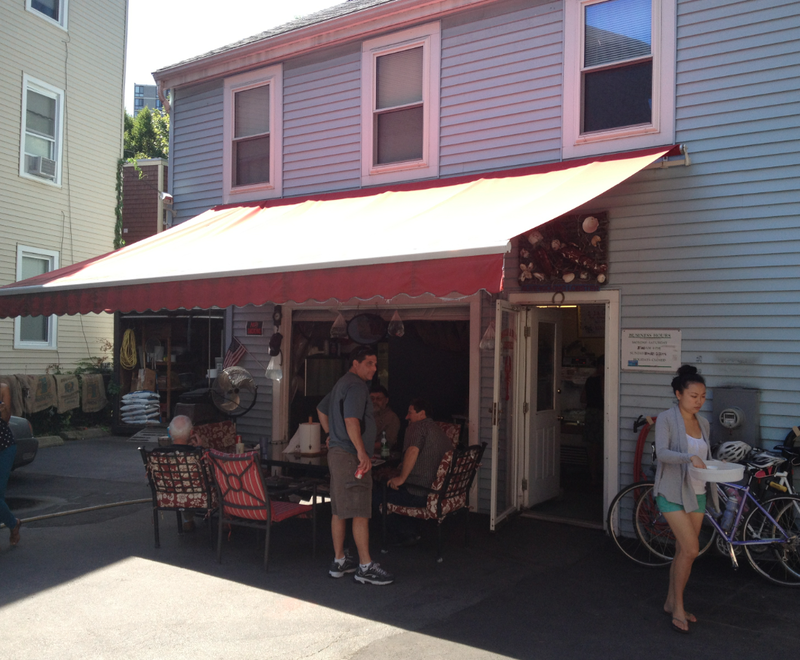 The Summer Shack we visited is located at 149 Alewife Brook Parkway in Cambridge, MA. 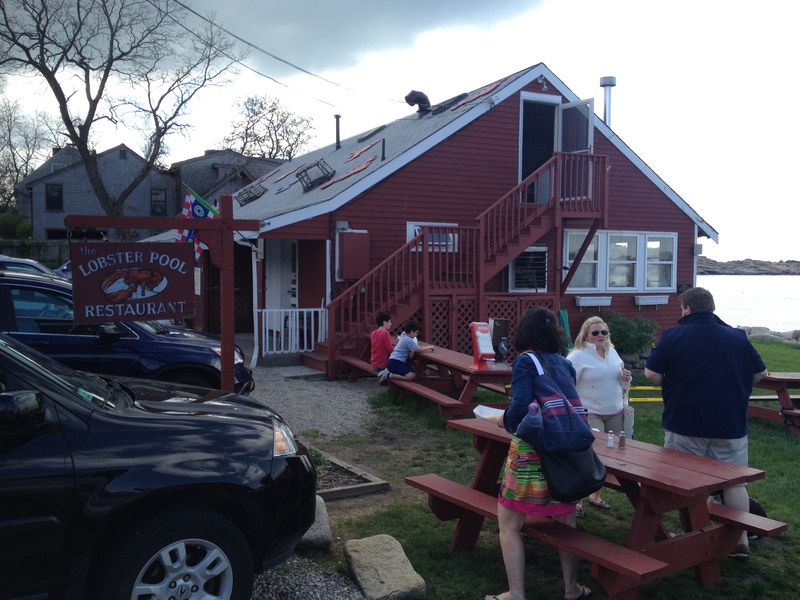 WEBSITE: http://www.summershackrestaurant.com/locations_cambridge.asp. PHONE: 617.520.9500. Non-traditional, but not terrible. Definitely not our favorite. Harraseeket Lunch & Lobster was the first stop on a multi-roll day, and we arrived about 15-minutes before they opened so we had an opportunity to see the staff getting ready for a busy day. The parking lot attendant getting ready to manage traffic flow was in stark contrast to quiet harbor setting that greeted us at 10:45 a.m. At 11:00 a.m. the order window opened and we were greeted by very friendly staff who truly looked as if they were enjoying their job. We grabbed some seats by the water to watched islanders board a small ferry while waiting for our roles. 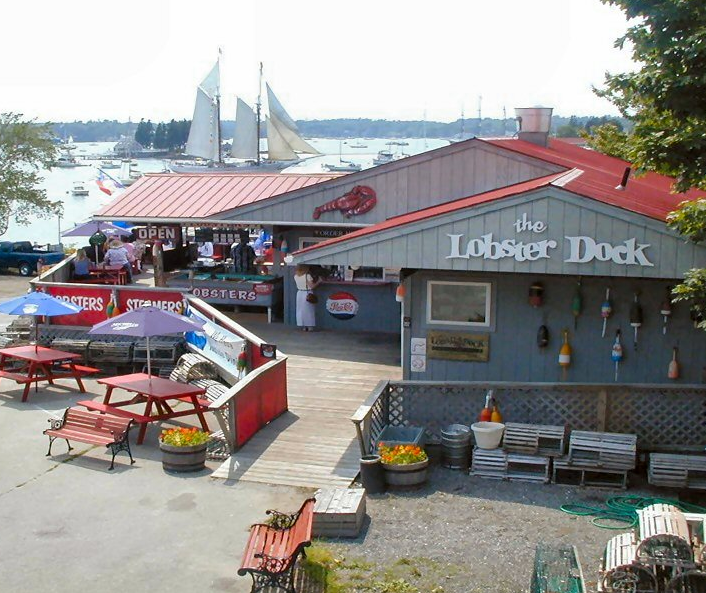 Harraseeket runs in a peleton of Maine’s best lobster roll joints. 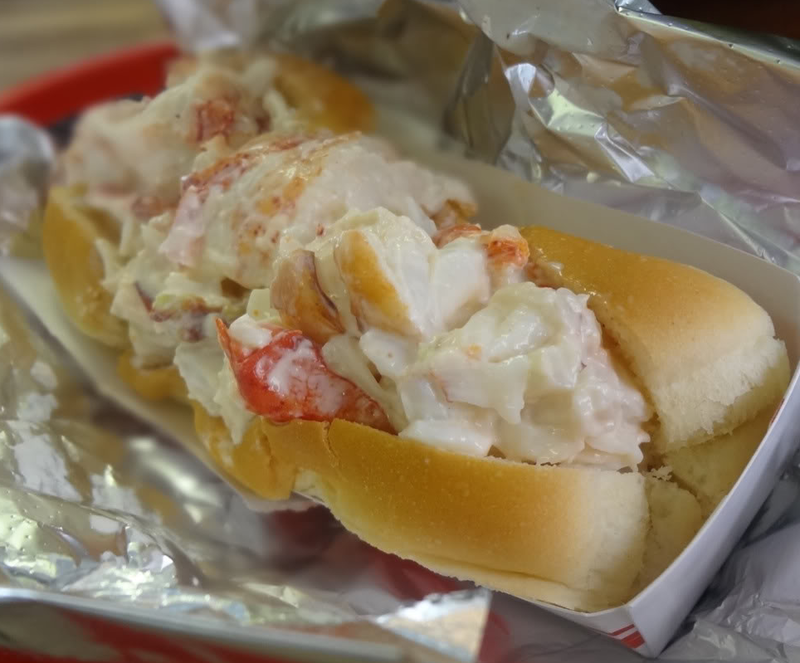 We knew we were getting into the “best of the best” of traditional lobster rolls, and we had to be very cognizant of the fact these place could start to wash together if we weren’t careful. Yet, there no escaping that at this level the competition gets very tight. With this said, Harraseeket definitely belongs on the leader board. These rolls came through with a beautifully toasted split-top roll, and lots of delicious knuckle, claw and tail meat. The lobster is dressed with a bit of mayo, but not too much. And the role is lined with a lettuce leaf – not your shredded iceberg lettuce, but a nice whole green leaf. Leaving the “Does lettuce belong in a lobster roll?” debate aside, this was a nice touch. 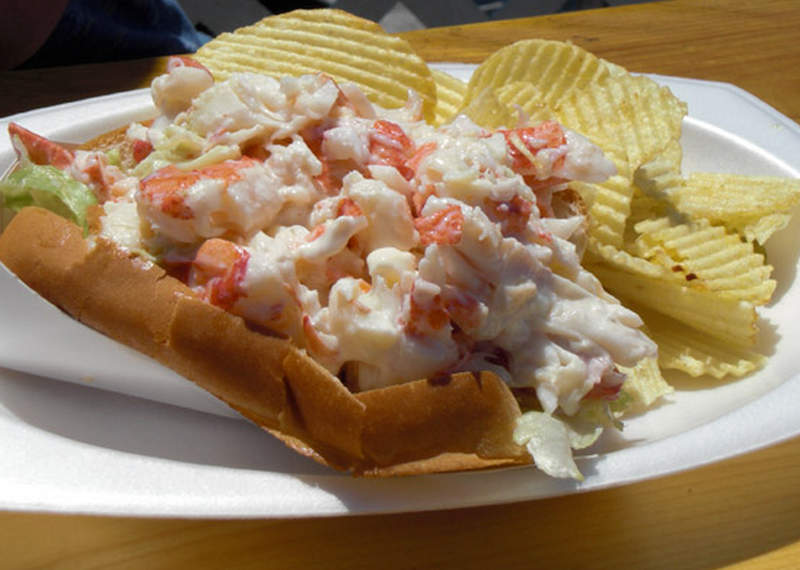 Harraseeket Lunch & Lobster is located at 36 Main Street in South Freeport, ME. 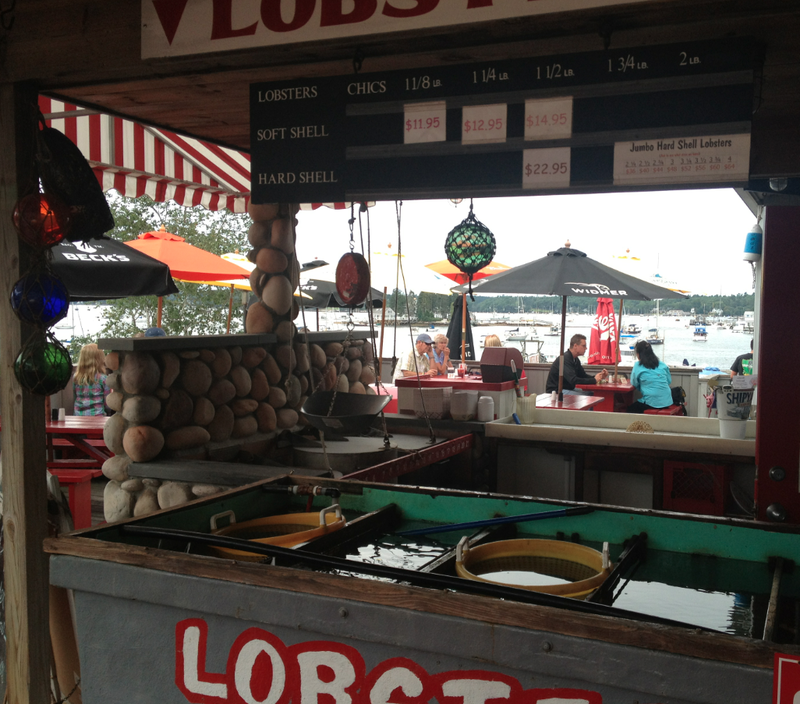 WEBSITE: http://www.harraseeketlunchandlobster.com/index.html. 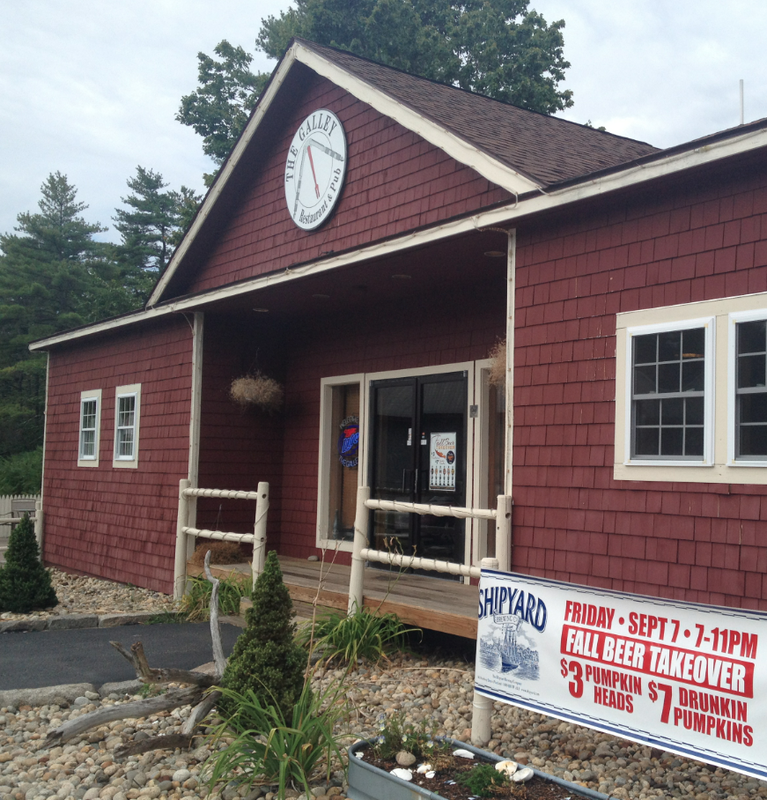 PHONE (LUNCH): 207.865.4888. 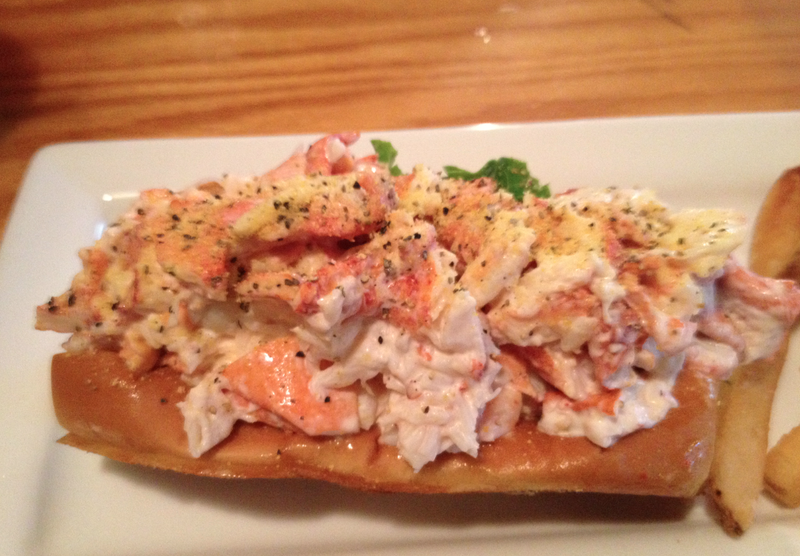 PHONE (LOBSTER): 207.865.3535. 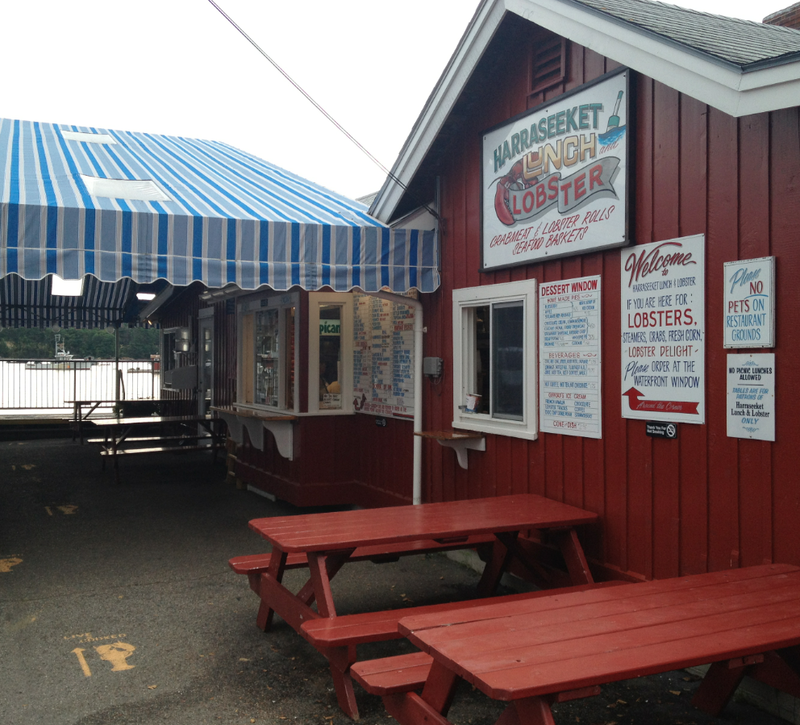 Check their schedule, as Harrasseket Lobster & Lunch is a seasonal business. 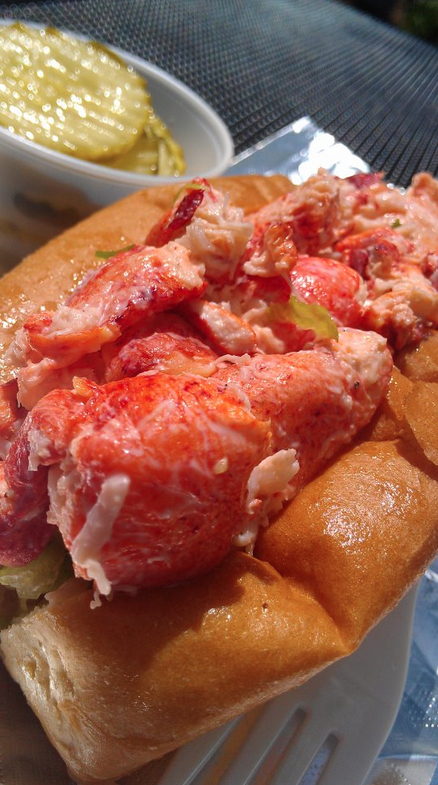 A very good lobster roll, as fresh as they come!